Add Amenities: Now there are even more amenity options available to partners via the Extranet. If you have specialty services such as pet-friendly policies or valet parking or late-night dining, be sure to add them to your listing. That information could help a potential traveler make a decision about visiting our destination (Can I bring my beloved beagle?). Plus, our teams share it when curating information for everything from articles to assisting meeting planners and attendees. Take a Look at Your Listings: When you update your listing with seasonal offerings such as special hours, new products or menu offerings, it sets your business apart from others who maintain a static presence throughout the year. Plus, your listing is seen by millions of viewers via our web site, visitor guide and app. Enter Your Events: Our events calendar is the resource for all there is to see and do during a visitor’s time in town—which most certainly creates reasons to visit. All you need to do is fill out the event submission form with details and an engaging image. We’ll take it from there and share your events whenever possible: on themed pages throughout our web site, in the Madison Insider e-newsletter and in weekend picks on social media and sometimes on TV! Budget Signs & Specialties is a renowned resource for companies looking to cut through the clutter with impactful signs and banners, on-point promotional products and awards that elevate every celebration. This Madison-based, independently owned company is proud of the quality—and technology—that has kept them at the top of client calling lists for nearly 30 years. 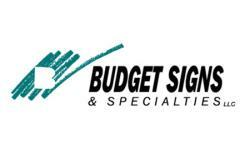 Budget Signs & Specialties is located at 2225 Industrial Drive near South Towne Mall, but they also accept estimate requests online. Everly serves up California-inspired, market-forward cuisine in a bright, airy atmosphere that features an indoor-outdoor bar and large outdoor seating area. This casual, inviting, and neighborhood-friendly space is a great place to enjoy coffee or wine, lunch, dinner or weekend brunch. OPENING SPRING 2017: Hotel includes 136 rooms, complimentary WiFi and breakfast. All of our spacious guestrooms feature plush Hyatt Grand Bed® and state-of-the-art media and work center. You&apos;ll love the 42" HDTV, Cozy Corner with sofa-sleeper, and bathroom vanities with granite countertops and complimentary amenities. Complimentary self-parking available. It’s already been 15 years since Ian’s Pizza opened its doors and the world fell in love with Mac ‘N Cheese Pizza! Ian’s has two locations in Madison: one on State and one on Frances Street. Both are open late and have been voted Wisconsin’s Best Pizza by Food Network. Congrats! Congratulations to Tyler Leeper and Brittingham Boats for being recognized with the Madison Mayor’s “Place Making Award for a Park Transformation that Extends Beyond its Borders.” Your work to make Brittingham Park a part of the active living scene in Madison is exemplary. Kudos!